Cosmetic contouring is a cosmetic dental procedure performed to improve your teeth’s appearance when they are slightly crowded or uneven. It has several different names including: odontoplasty, enamelplasty, stripping, recontouring, slenderizing, and enamel reshaping. Cosmetic contouring is a quick, easy way to repair minor smile defects, is completely painless, and can be completed in a single office visit. Cosmetic contouring can be competed in conjunction with dental bonding, which applies tooth-colored materials to the tooth’s surface. This can further help to restore your smile and give it a natural-looking appearance. You may be a candidate for cosmetic contouring if you have a chipped, pointed, or elongated teeth. However, teeth that are very uneven or severely chipped may require other restorative treatment. Teeth that are extremely crowded may also require a different approach, such as braces. 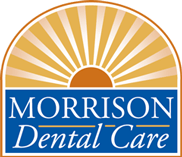 To find out if you are a candidate for cosmetic contouring, schedule a consultation at Morrison Dental Care today! What can I expect during the Cosmetic Contouring Procedure? The cosmetic contouring procedure is quick and painless. During the procedure, Drs. Lewis and David Morrison will remove or contour the enamel. After contouring has been completed, the teeth are polished and fluoride may be applied. Will I need to follow any special instructions after my Cosmetic Contouring procedure? Since the cosmetic contouring procedure only makes minor alterations to your teeth, there is not extended recovery time. If you have dental bonding at the same time, you will need to avoid drinking beverages that could stain your teeth for the first 48 hours following the procedure. You will also want to maintain a dental routine of brushing twice daily, flossing once daily, and visiting Morrison Dental Care for a checkup and cleaning every six months.